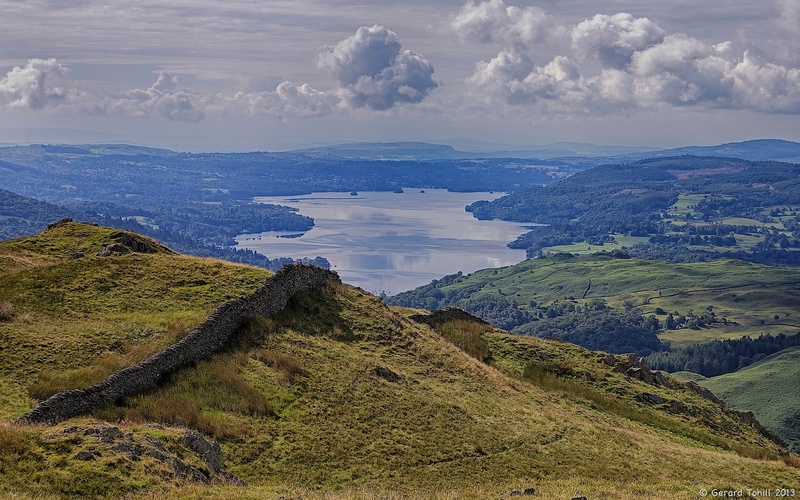 From the top of Nab Scar, Windermere is foreshortened, and the length of the lake is not apparent. Nab Scar is another of the Lake Districts ‘value for money’ fells – a stiff climb soon gets you to the top and the views are great reward for the effort. Thank you – it was one of those days when the sky just faded to blue.